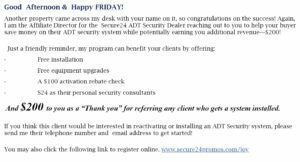 Did your Realtor sell you an ADT security System? 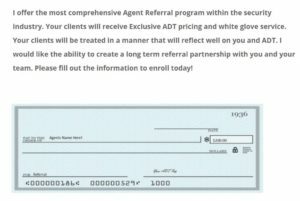 After you close on your home there is a strong likelihood that an ADT authorized dealer will contact your agent offering them $200 if they sell you an alarm system. If this happens to you, we want to know. Please send us an email with details.